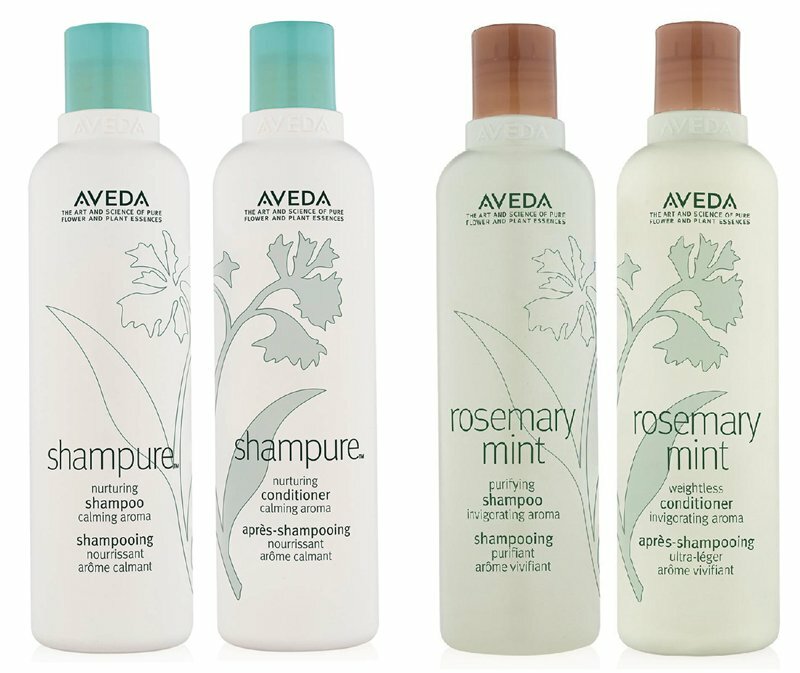 Why New Shampure & Rosemary Mint Shampoo and Conditioner Aveda? If you’ve tried shampure, you’ll know why so many people love them and keep coming back for more! The new upgraded packaging brings Shampure and Rosemary Mint shampoo & conditioner in line with our most recent addition and current favourite ‘Cherry and Almond Softening shampoo and conditioner’. The new name of Shampure is just an add on to help people find the right type of shampoo for their hair. Shampure Shampoo and Conditioner is now Shampure Nurturing Shampoo and Nurturing Conditioner. Rosemary Mint Shampoo and Conditioner is now Rosemary Mint Purifying Shampoo and Weightless Conditioner. Handy right? There is just one change to the formula of Shampure Nurturing Shampoo and Conditioner and that’s a really great change – No more silicone in the ingredients list now and instead an addition – Abyssinian oil – so it’s even more natural than before. Abyssinian oil makes for a great and sustainable alternative to give your hair that lustrous shine and lasting nourishment. As for Rosemary Mint? Well the shampoo is exactly the same i.e. perfect! We removed a trace herb from the Rosemary Mint Weightless Conditioner so instead of being green, it’s now white! Rest assured, the performance is just as good as before! Rosemary Mint Purifying Shampoo and Weightless Conditioner will gently remove debris and build up, giving you weightless body and enhanced shine. ‘What about the Aroma! ?’ As if Aveda would change that! Have you smelt these products!? They are Divine! One more thing! Are these products colour-safe? Yes both Shampure and Rosemary Mint shampoos are good to go and can be applied without harming your Aveda colour. Win Win. So there we have it – a low down on your regular favourites which can remain, your favourites! If you’re a pure privilege member, you can gain 500 extra points by buying any two bottles of shampoo and conditioner up until 13th February. Still not sure? Why not let us show you how amazing they are on your next hair appointment? Book with us by calling 01483 306655 for our Guildford hair salon and 01932 240856 for our hairdressers in Walton and let our fabulous stylists give you your perfect hair that smells fantastic! Thanks for your comments and your feedback. The good news is the shampure shampoo and conditioner is still available to buy in store and online! The only difference in the new shampure is that there is now no silicone, which has been replaced with abyssinian oil – so it’s even more natural than before. Abyssinian oil makes for a great and sustainable alternative to give your hair that lustrous shine and lasting nourishment. We really hope you’ll try it out, or maybe the cherry and almond shampoo and conditioner? It’s extremely popular with guests looking for soft touchable hair and we think you’ll love it!